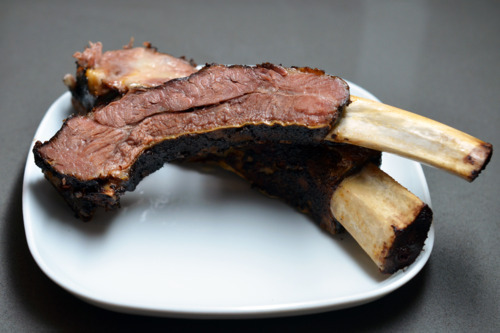 When I was gifted grass fed beef back ribs from Brandon Natural Beef, they also included a simple recipe for slow roasting the racks in the oven. Since all three racks wouldn’t fit in the oven, I decided to cook one rack in the pressure cooker and slow-roast the other two in the oven for 8 hours: I was gonna be a one-woman America’s Test Kitchen and compare the two cooking methods. 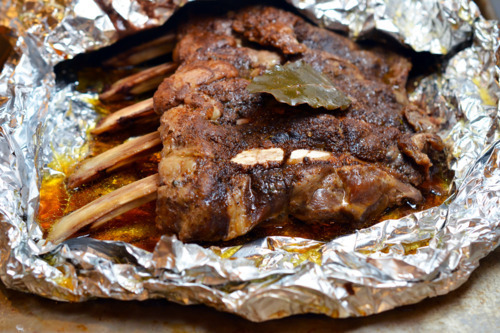 The pressure cooker version was quick and delicious but the oven-roasted ribs were meatier and even more tender. Slow and steady wins the race! Pat your racks dry with some paper towels and liberally dust them with dry rub and salt. Don’t be skimpy with the seasonings! 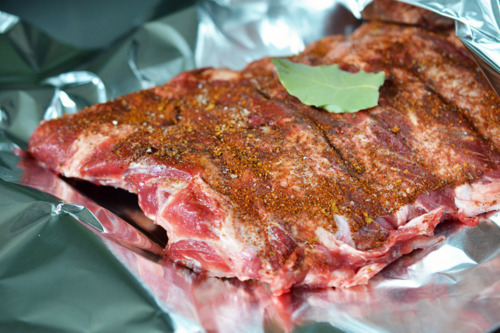 Place a bay leaf on top of the rack and tightly seal the ribs in heavy-duty aluminum foil. The ribs will release a lot of liquid while they roast so make sure to crimp those ends well or you’ll have a big greasy mess all over your oven. 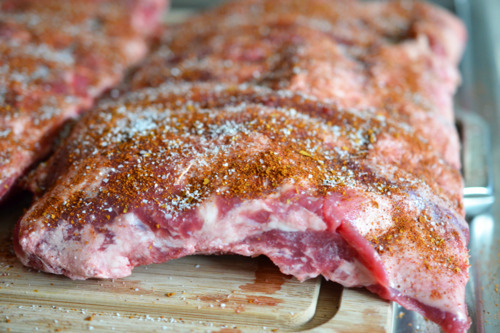 Store the ribs in the fridge for at least 2 hours and up to a day to marinate. 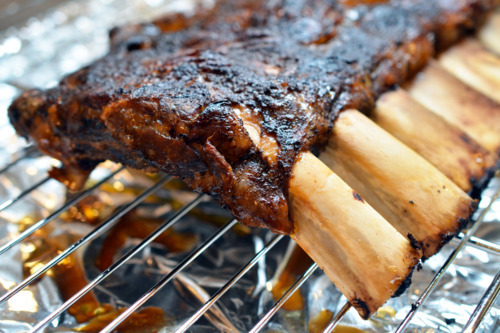 When you’re ready to roast the ribs, preheat the oven to 200 F. Place the ribs in single layer on a rimmed baking sheet and pop them in the oven for 6-8 hours. As long as the edges are well sealed, it’s okay if the meat packets hang over the rim of the pan. At the halfway point, flip the ribs over. When the ribs are done, let them rest for 20 minutes. 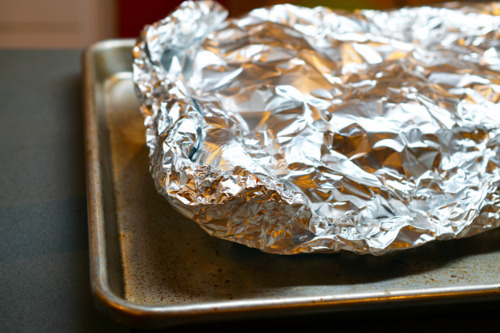 Crank on your broiler and adjust the oven rack so that it is 4-6 inches from the heating element. 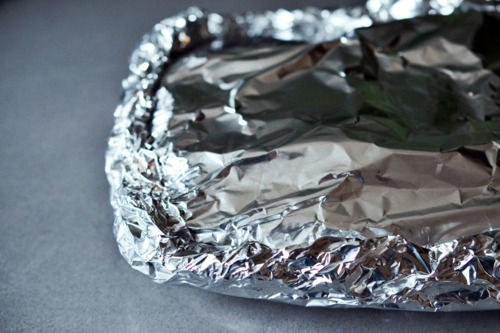 …and place the racks, bone-side up on a wire rack atop a foil-lined rimmed baking sheet. Broil one rack at a time because it only takes 4 minutes each and you want them to char uniformly. 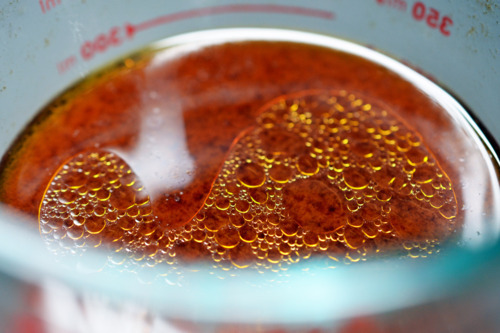 If you’re using some sort of barbecue sauce, brush it on now. I used the reserved braising liquid from the pressure cooker grass fed beef back ribs. 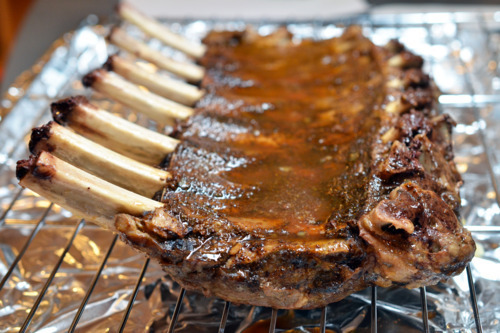 Place the ribs under the broiler for two minutes on each side or until browned evenly. If you’re using some sort of sauce, brush it on the top before you broil it. 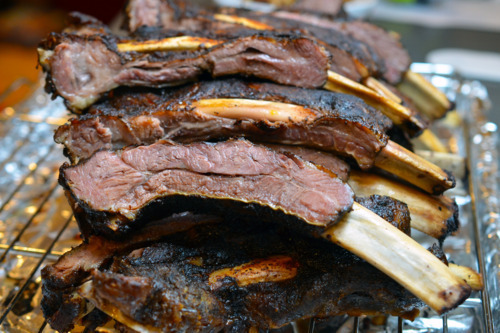 Chop the ribs up and devour them like the Flintstones.